The classic canvas sneakers, more exclusive and male version, comfortable, fresh and essential in summer. By buying this product you can collect up to 220 loyalty points. Your cart will total 220 points that can be converted into a voucher of 1,76 €. This model is essential to all summer, our classic customers who discover this model, know that they are a good alternative for our feet to "breathe" during the summer season. -Blue marine, the most sought-after color for this model. The insoles are natural braided textile, a very soft and comfortable material with excellent breathability. It has cotton fabric backing in natural colour, so that it can discolor the foot. They have a very flexible and anti-slip vulcanized rubber sole, with the contour of esparto, a detail that gives a very natural look. It has two elastic on both sides of the instep for a perfect fit and easy fit. 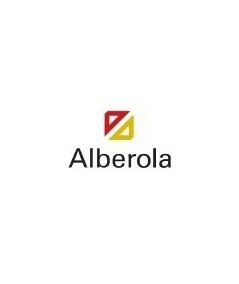 Designed and manufactured in Spain by the brand Alberola. The male canvas sneakers are immune to fads and the passage of time, each summer become an alternative economical, comfortable and very wearable on numerous occasions, giving a Mediterranean air and casual to our look. Choose your favorite color and enjoy the summer!